1. Tickets can be purchased online. You will receive an email with the ticket in (.pdf) format to be printed or displayed on your smart phone. 2. Tickets can be purchased in person from the Alumni Affairs and Foundation office on the Fulton Campus. 3. If tickets become sold out, you may call Alumni Affairs and Foundation at 862.8039 to place your name on a waiting list for any tickets that may become available. Pageant programs will be available. Please contact Dr. 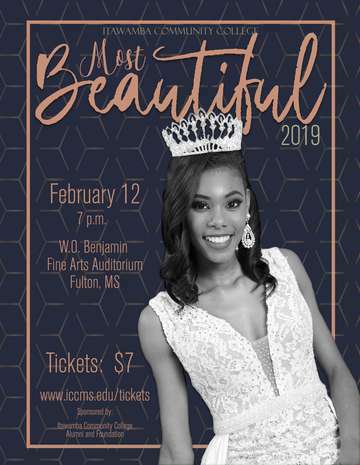 Bunch at jrbunch@iccms.edu with any questions pertaining to the pageant.